Directed by guest artist and the esteemed Jackson Gay, “Power of Sail” is set at Harvard University where a campus maelstrom is brewing outside the office of Professor of History Charles Nichols (a profusely committed and engaging Rob Kahn) who has invited an outspoken white nationalist as a guest speaker to the college. Nichols also hates “hatred.” And creationists, holocaust deniers, and racists. He wants to take down this polarizing figure in a live debate and annihilate him. At least that’s his rationale to Dean Amy Katz, played with an earnest academia pretense by Warehouse leading lady/director Kerrie Seymour. And he is right! This premise of “Power of Sail” arose from the author’s concern about the rise of white nationalism activity and recruitment on college campuses . . . and I suspect propaganda on social media. The play is conversational, and often framed as a debate as several of Nichols’ former and current students raise questions about the event and shed their perspectives on everything white privilege to anti- Semitism. Nichols’ former star pupil Baxter Forrest (played by Sean Michael), is a successful African American alum who is obviously strongly opposed to the invitation. Bearing his bewitching subtlety and deadpan humor, Christopher Paul Smith is Lucas Poole, Nichols’ current golden boy PhD candidate, who is up for a very competitive fellowship. In her Warehouse debut, Anna Abhau Elliott (co-founder of Scrappy Shakespeare in Spartanburg) brings an ethereal quality to Jewish nerd Maggie Rosen. And it was great to see Andy Croston back at The Warehouse on double duty as an FBI agent (Yes, the plot thickens and the poop hits the fan!) and a bartender. The title comes from a nautical term that motorboats must yield to slower wind-driven sailboats. Nichols has been meticulously building a model sailboat in a glass case in this production for decades, and when it is shattered by accident, it is indicative of his collapsing reputation, and foreshadowing his own demise from deeds I will not spoil in this review. But there is another meaning as well. Nichols, who used to spend weekends sailing his boat with his wife (now divorced), is petrified that his agency and relevancy have been diminished. While former students and younger faculty members (the power boats) in his department are getting all the glory as commentators on cable news and bestsellers on the New York Times list, no one read his last published book. Nichols (in Kahn’s capable hands) is an acutely-chiseled character and we learn much about him: his fears, his past, his alcoholism, his love of sailing. But it’s in the revelatory second act when the conversations turn into a low-key thriller with unbelievable discoveries and the revelation that not everyone has the integrity they proclaim. 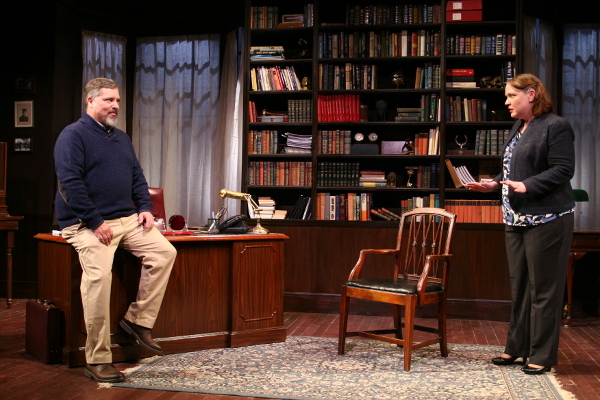 Scenic designer extraordinaire Shannon Robert creates an admirable office one would expect at old and sacred institution such as Harvard, wood-paneled with a library. 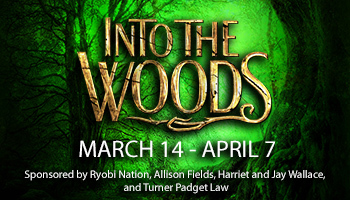 Lighting is by Tony Penna, Marc Gwinn employs a bold stylistic soundscape design, costumes are by Kendra Johnson, and Props by Cassidy Bowles. Louise is Stage Manager and Mallory Pellegrino is Assistant Director. “Power of Sail” continues through March 31 at The Warehouse Theatre, 37 Augusta Rd. in Greenville. For tickets call (864) 235-6948 or visit www.warehousetheatre.com.